For over 50 years, this family owned company has offered world-leading water quality solutions. 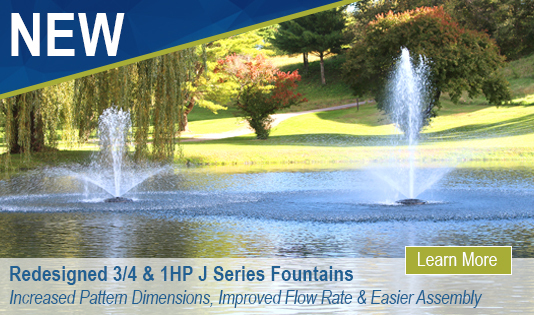 Today, we provide fountains, surface aerators, diffused aerators, de-icers, circulators, beneficial bacteria and dye to countless aquatic industries, all with the goal of improving your water quality, and moving your water forward. See our full product offering.